Katie takes a break for a hike along the Oregon Coast at Cascade Head. 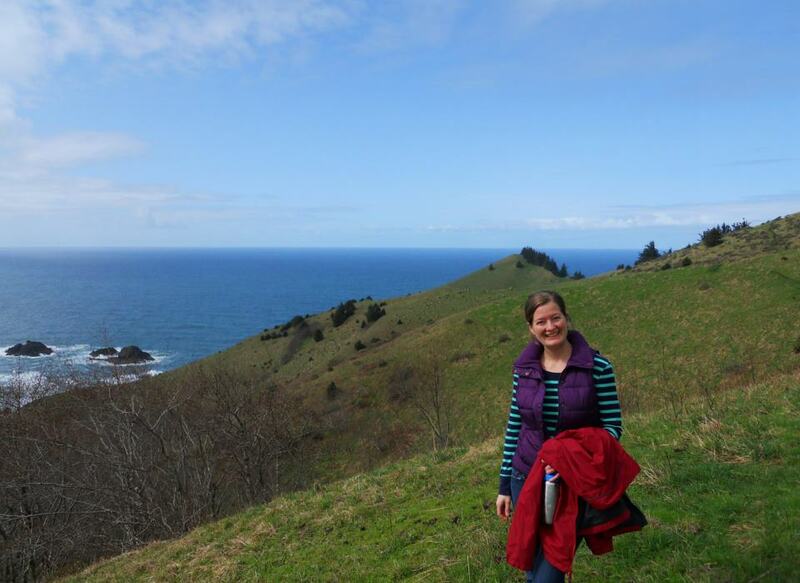 Katie Woollven is a Marine Resource Management grad student, working with Dr. Shawn Rowe in the Free-choice Learning Lab at Oregon State University. For her Master’s thesis project, Katie gets to chat with select COASST participants about their perspectives on their role in science and resource management. After receiving her B.S. in marine biology from Texas A&M, Katie worked as a field biologist collecting mosquitoes for a bird study, as a fisheries observer in Alaska, and as an intertidal lab tech before shifting gears to focus on education research. Working with the Monterey Bay Aquarium’s Science Under Sail Program and an NOAA-funded community-based marine debris removal project sparked her current interest in nature of science learning and citizen science. What is she thinking about and exploring in her research? This entry was posted in Uncategorized and tagged Citizen Science, Education Research, Oregon, Student, Volunteer on 19. July 2013 by coasst.